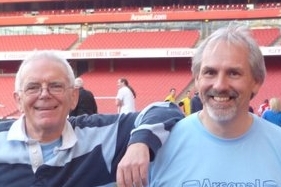 If you keep a regular eye on the Arsenal History Society blog you’ll know that we run a section called Anniversaries. It tries to list most of the main events that have taken place in Arsenal’s history in order of the date. Then having put in the dates we try and write an article for each of the events we have chosen. Because it is still growing, the file itself is rather uneven, some days (like 1 May) have lots of entries. Others have nothing at all as yet. But day by day we are adding events – and if you care to have a look at the master file and feel that either we have missed an event completely that ought to be there, or there is an event for which no article exists (and which you would like to write) then please do write to Tony.Attwood@aisa.org and I will add your entry. Anyway, 1 May seems to have more events listed than most days, so rather than try and add yet another article, I thought instead I might just bring to your attention all the things we have listed so far on this day, with links to articles, where we have them. So here it is: 1 May. If you are interested in any other day, just go to the Anniversaries file, using the link above, and take a look. All the stories without links will get a link to an article in due course – although some might have to wait a little while. And you never know, one day we might even publish it all as a book. Cliff Holton, born 29 April 1929.